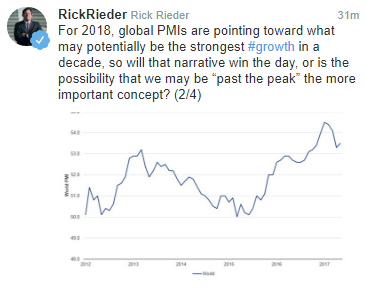 Rick Reider is the global fixed income chief investment officer at BlackRock, which is the world's largest asset manager with more than $6 trillion under management. He is a true market heavyweight and one of the most-brilliant people on Wall Street. 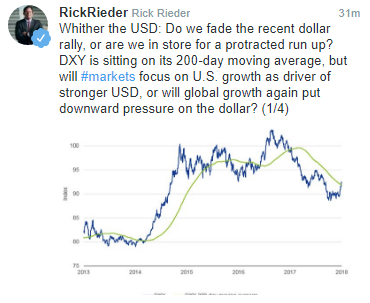 He just published a series of tweets about the US dollar and it outlines the question that anyone who is in any global market is constant faced with: Should I hold the US dollar or not? 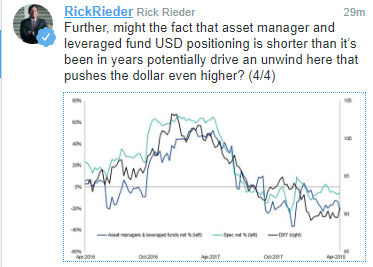 Recently, the US dollar has been extremely strong. It's outperformed every other G10 currency for three straight weeks and it continued with some modest gains to start this week. Will it continue? Reider doesn't have an easy answer but his tweets show how he's thinking about the question.